First thing that comes to my mind, when I try to see the differences between those two seasons, is that the first one is much more serious in stories and characters. It has some really good action stories like War Games for example. But the second took that trade to a peak, mostly in exchange for more believeable scifi stories. The characters emotions came into the foreground and action and fun ruled most of the episodes. The second season wasn't really bad, but it had much more "bad" episodes than it's predecessor. And that's why I prefer the first one. 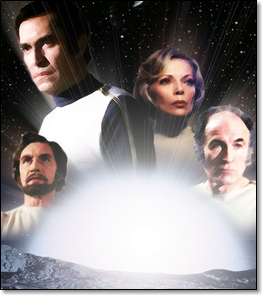 You can simply say that Space 1999 never got two seasons. I think of two different series. The first one, and it's remake. We have to see the series for what it is. It was produced in the 1970s, when fantastic ideas overruled scientific correctness and no one even cared to check if there really is a dark side of the moon *. All what's needed were thrilling and futuristic stories in a fantastic scifi environment. But, what was so wrong about that? Even now the series benefits from it's followers who are eager to buy the latest DVD's or even Blu-Ray's. It's what makes the series different from modern scifi series. It is still appealing to it's fans. Gerry Anderson was told to make sure that the crew of Moonbase Alpha was never able to return to earth, because they didn't want to have stories in a familiar setting in the neighborhood. The viewers simply didn't want it. I'm still longing for that time where viewers seemed to have much more imagination. In our modern days the usual scifi shows seem to be set around the corner, like in V or Spielbergs Falling Skies. And when it comes to a space based show like Battlestar Galactica or Caprica, even those aliens had to be human in body and technological- or art-design. It's little known, that BREAKAWAY was filmed as a 90 minute pilot episode, which was that boring, even the Andrsons couldn't believe it will ever be a major success. So Gerry Anderson shortened it to the 50 minutes format and the story could begin. BREAKAWAY aired and with it started a lot of fun for an 11 year old boy that was me. Space 1999 wasn't just science fiction. Especially in it's first season stories with a close to supernatural or even spiritual content dominated the main theme of the series. In the Episode MATTER OF LIFE AND DEATH Dr. Russels long deceased husband returned to life through an antimatter force. In THE MISSING LINK an alien scientist extracted Commander Koenigs lifeforce from his body as a living spirit and in BLACK SUN the crew even experienced a close encounter with a force that could have been something like god (in a non-religous way). 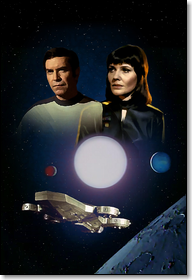 Other episodes like ANOTHER TIME ANOTHER PLACE, FORCE OF LIFE or COLLISION COURSE continued the spiritual theme with mystical stories that were solved in a way but didn't explained everything at the end, thankfully leaving the mystcal component open for the viewer to think about it. 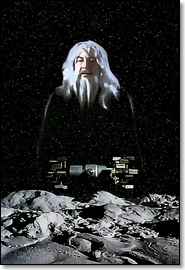 Do you remember the Star Trek TNG episode SUB ROSA, where the mystic was explained in a scientific way? That never happened in Space 1999! TNG then ultimately destroyed the fun I had watching the episode. John Koenig said in ANOTHER TIME, ANOTHER PLACE: "What's happened to us out there in space is beyond explanations." Of course the term real life is only connected to the life of our Alphan heroes. 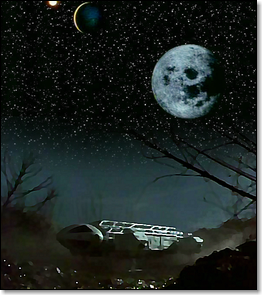 But beside the spiritual stories Space 1999 also had enemies to fight. 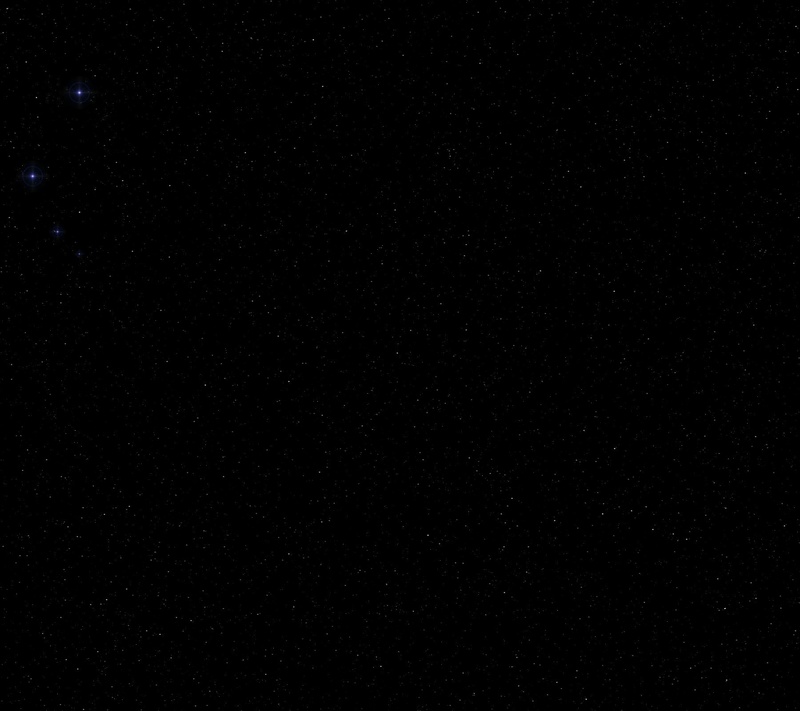 Among them were those Betas and Deltas (bad names, I know) from THE LAST ENEMY where the civilisations of two planets fought a long war against each other. Strangely enough it also was a fight between men and women. 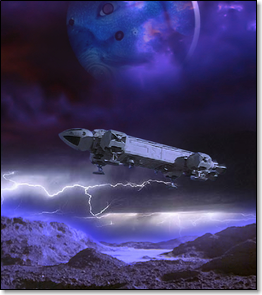 In ALPHA CHILD two aliens took the base crew hostage to flee from their pursuers who threaten to destroy Alpha if they don't hand over the refugees. WAR GAMES gave us an episode where an alien species didn't wanted the Alphans to land on their world. So they staged an attack on the moon, showing the crew their own destruction in several waves of bombardment if they're trying to make contact with them. And in END OF ETERNITY they found a sadistic immortal alien in space who was exiled by his race for turning his world into turmoil. 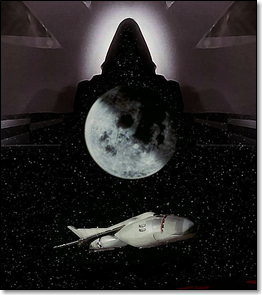 As a fan of Space 1999 I love the series. But I can also admit that there may be strange similarities between Space 1999 episodes and stories from the original Star Trek. But at the end I can only think of one episode that is definetely a copy of a Star Trek story. The episode THE GUARDIAN OF PIRI shares the basic story with Star Trek's THIS SIDE OF PARADISE. In both stories the crew is influenced to leave the station/ship to live on an alien planet. Strangely Commander Koenig and Captain Kirk in Star Trek are both immune against the influence and plan to return their crew. 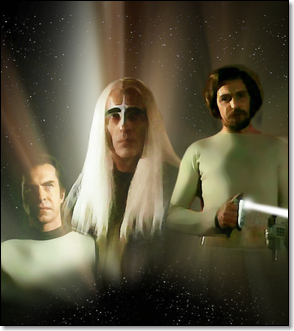 There may be a resemblance between THE END OF ETERNITY and Star Trek's SPACE SEED. In both episodes a biological engeneered alien/human gets aboard the station/ship and tries to take over. But you really need some imagination to say that this may be a copied story. Space 1999 season one came up with some famous guests in supportig roles. Among them were superstars like Peter Cushing as Raan from MISSING LINK and Christopher Lee from EARTHBOUND (both with long white hair). Other guests we know from Science Fiction movies or series are Michael Culver, Michael Sheard and Julian Glover from Star Wars V, Jeremy Kemp (brother to Captain Picard from ST-TNG), Brian Blessed from Flash Gordon, Leo McKern from The Prisoner, Joan Collins from Star Trek and Lisa Harrow from Omen III or Space Maidens. 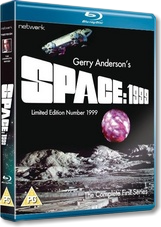 Gerry Anderson's long time composer Barry Gray did his final work for him on this series. Due to budget restrictions Gray could only score the music for four episodes of the first season. His soundtrack was then re-used for every episode in the series first season. But there were three episodes where they decided to use classical compositions instead of Gray's music. In SPACE BRAIN Gustav Holst's "Mars" (The Planets), in DRAGON'S DOMAIN they used Venetian Baroque composer Tomaso Giovanni Albinoni's piece "Adagio for strings and organ in G Minor" and for WAR GAMES the title "The Astronauts" from modern time composer Mike Hankinson made it into the score. We learned a lot of things. But most of all, we learned... that we still have a lot to learn!